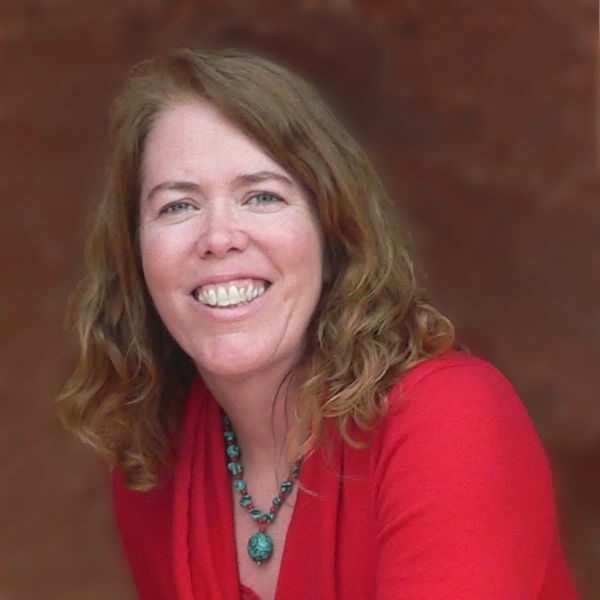 I'm an Island Batik Ambassador, and each month we get a new challenge. 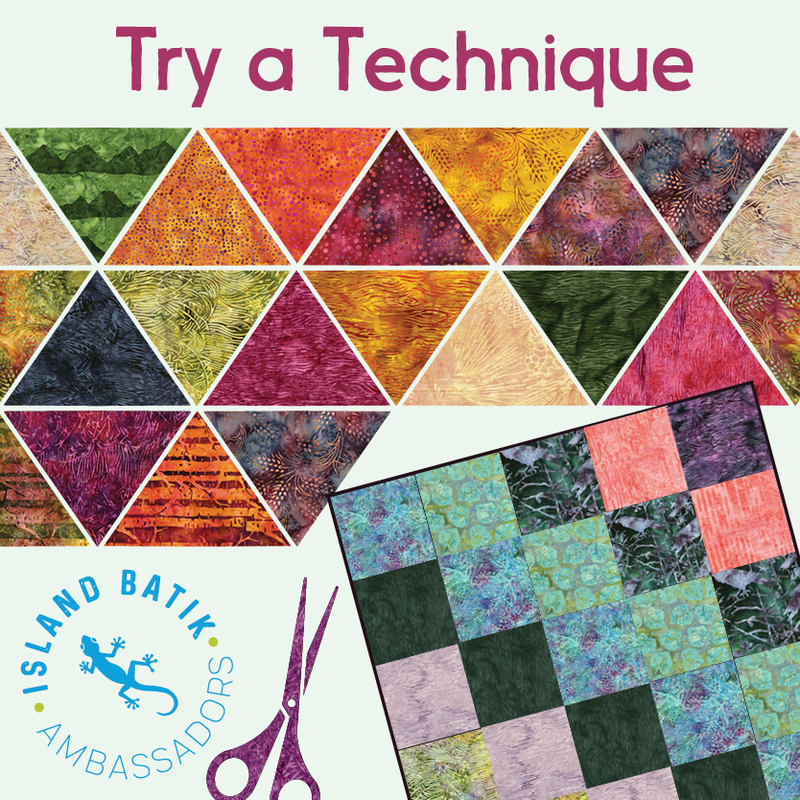 This month's Island Batik challenge is to try a quilting technique that's new to us. This was a challenge for me, since I love trying new things and have thus tried a lot of quilting techniques such as paper-piecing, machine applique, partial piecing, and so on. To find something I'd never done, I reached into my Someday list--making a Lone Star quilt. 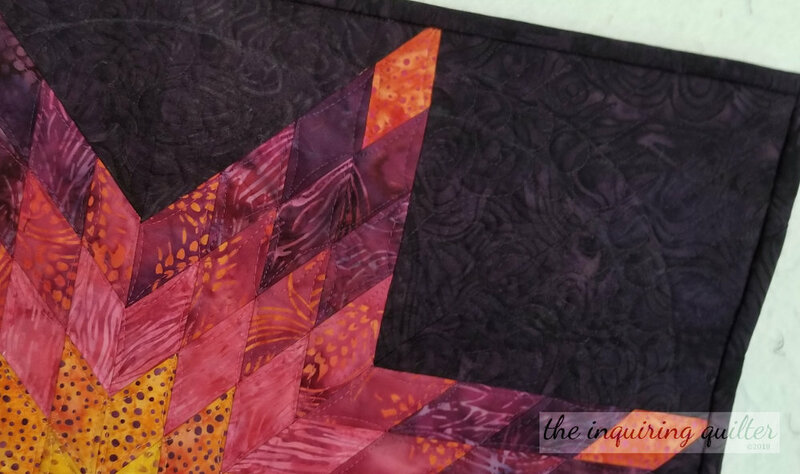 Let me explain a bit about how you make a Lone Star quilt and why making one has been on my Someday list for so long. Making a Lone Star typically involves cutting and sewing diamonds (with bias edges) into large diamond shapes (with longer bias edges) that you then sew together by insetting squares and triangles (using partial piecing) between the diamonds until you end up with a square. Yep. 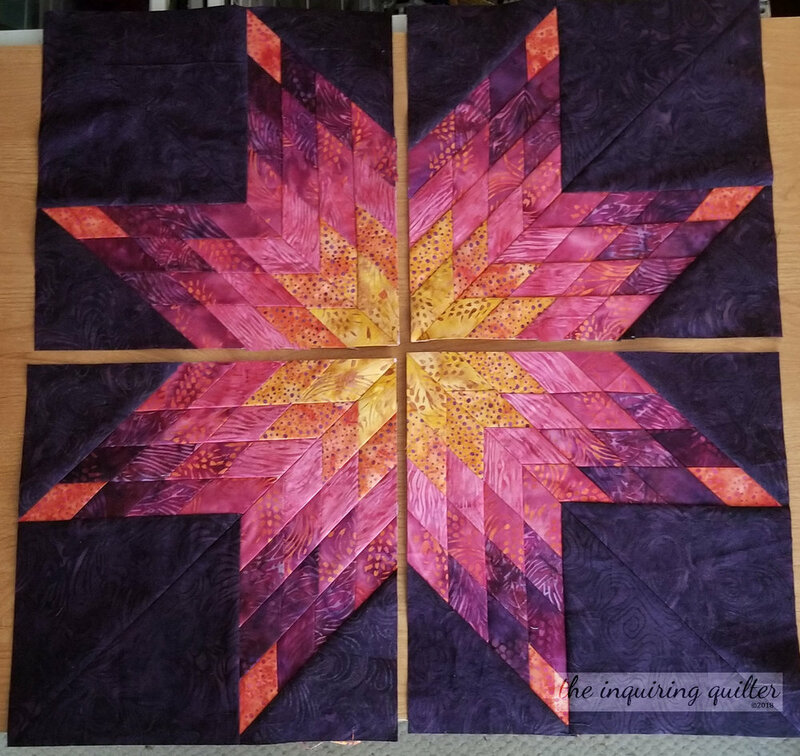 Partial piecing and bias edges! No wonder a lot of people that attempt a Lone Star end up with a quilted pimple and not a flat quilt. 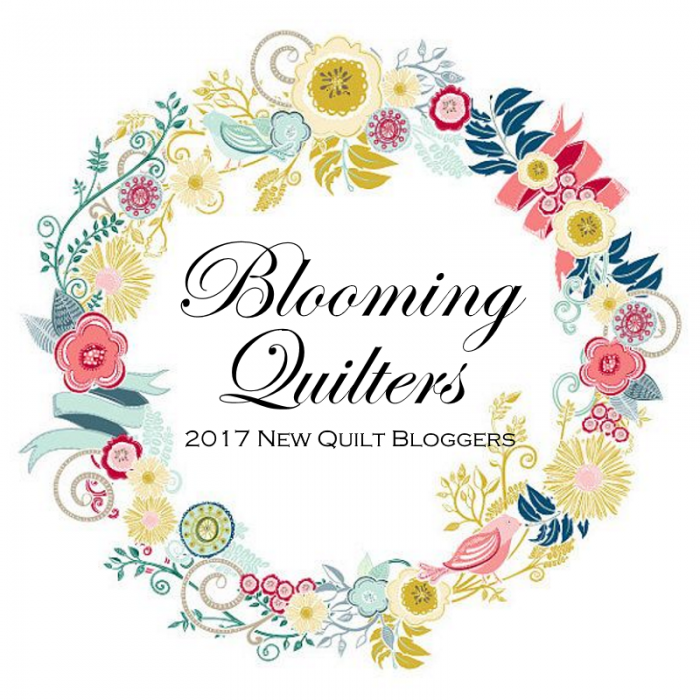 Knowing this, I'd put off making a Lone Star for years---until I heard about QuiltSmart. With QuiltSmart, you use a lightweight printed foundation to foundation piece rectangles into diamond shapes. 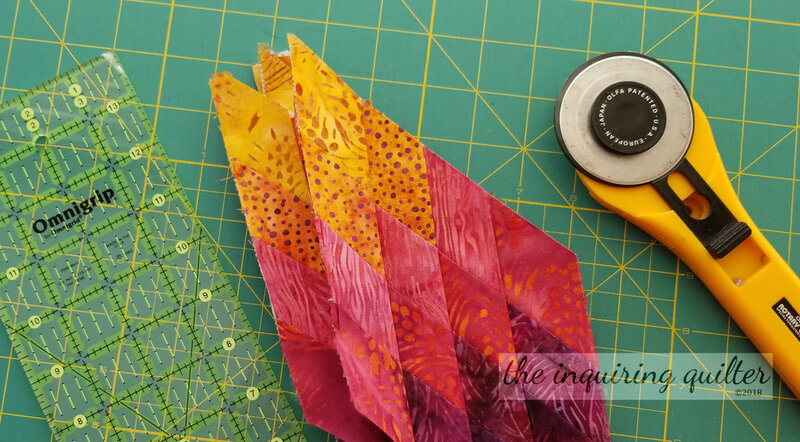 With this method, you trade bias edges and partial piecing for foundation piecing. Frankly, I consider that a fair trade since in return I was practically guaranteed success. 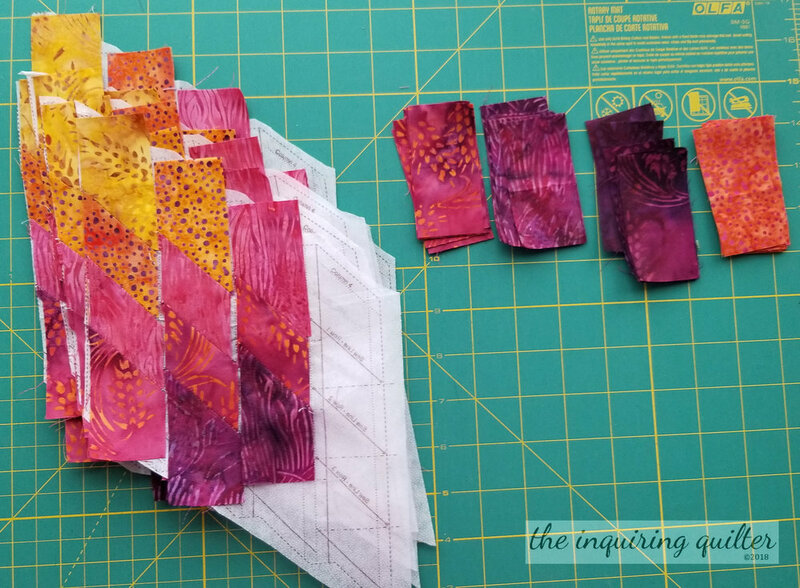 After deciding on the Island Batik collection I wanted to use (Plum Delicious), I cut my rectangles and arranged them in stacks. I then sewed the rectangles together in rows. To get the diamond shapes you sew at an angle, sewing on the lines marked on the diamond foundations. After completing the four rows, you sew the rows together using the lines on the foundations. You then press the back of each diamond and trim it. The QuiltSmart method ensures that you'll get diamonds that look like diamonds. That's pretty cool, but so is their quilt top construction method! 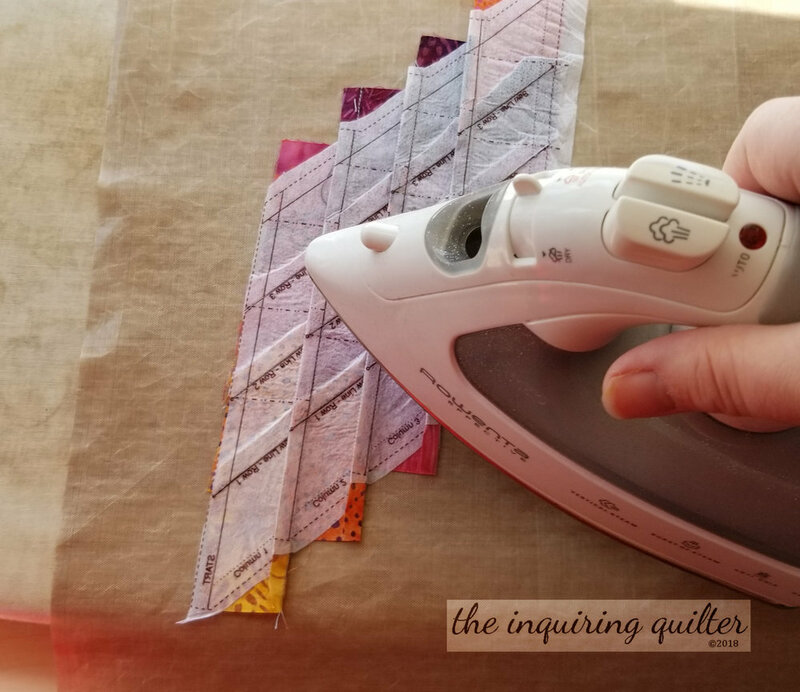 Instead of sewing the diamonds together using partial piecing methods and inserting triangles and squares between the diamonds, with QuiltSmart you basically create large HSTs and then sew them together into a quilt top. Because you're working with squares when you sew the top together, it's easy to achieve good results. So after creating the diamonds, you add triangles along two sides of each diamond to form a big right triangle. Then you sew these right triangles together to form what are essentially large half-square triangles. Then you just sew the HSTs together to create your Lone Star! 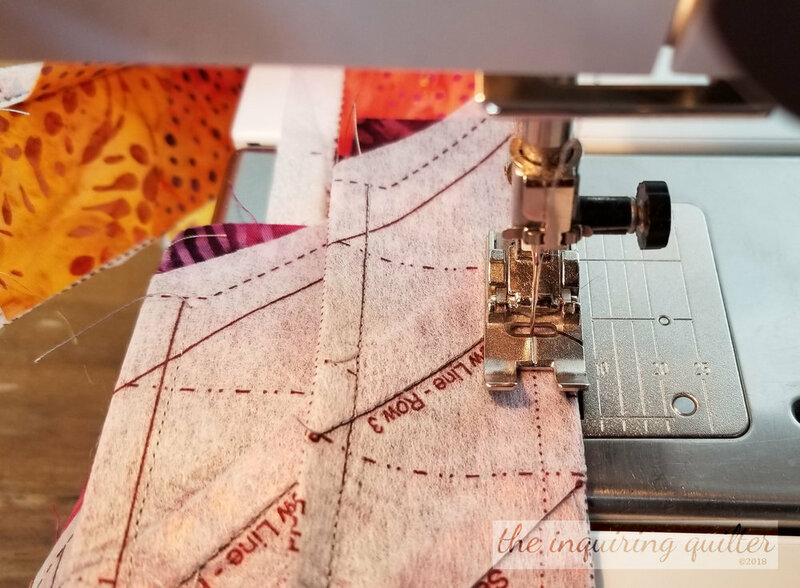 It's a good idea to square up these HSTs before sewing them together---what you need here is a right angle at each of the four points of the center. 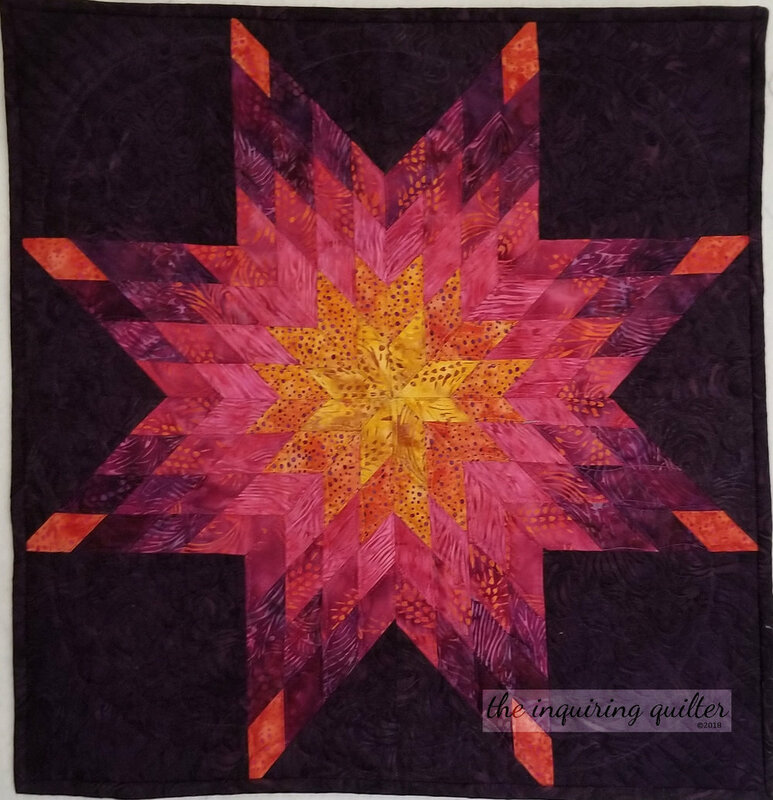 The QuiltSmart method works so well, I would definitely use it again to make another Lone Star. 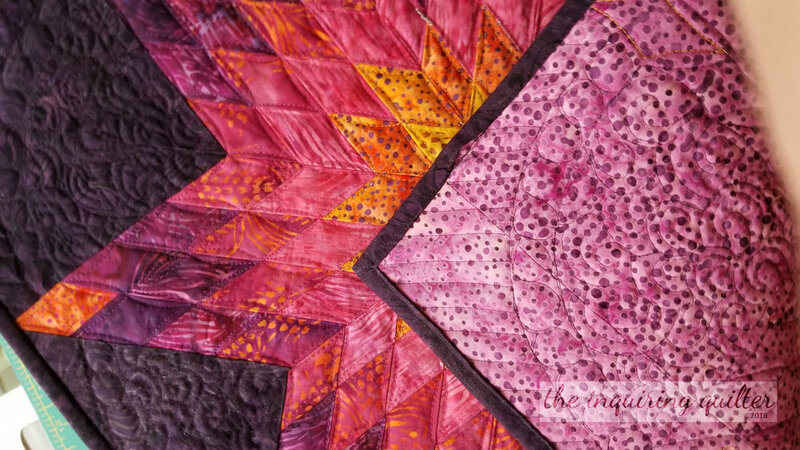 I quilted the diamonds with shallow curves to emphasize their shape. I used thread colors that matched each diamond. Can you tell I had fun picking out the colors? <grin> I love my thread collection! I quilted the background by creating a circular area that I filled with a curvy loop design. 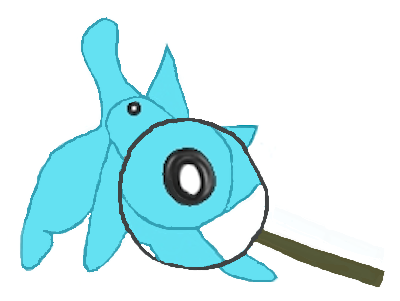 I filled the next section with small circles, and the outer section with parallel lines. Have I shown you the back? I used a lovely purple dot batik. Fabrics: Island Batik Plum Delicious collection (star) and a blender BE24-A2 (Marble-Blackberry, for the background and binding). For the backing, I chose another blender, BE31-B1 (Bubbles-Raspberry). 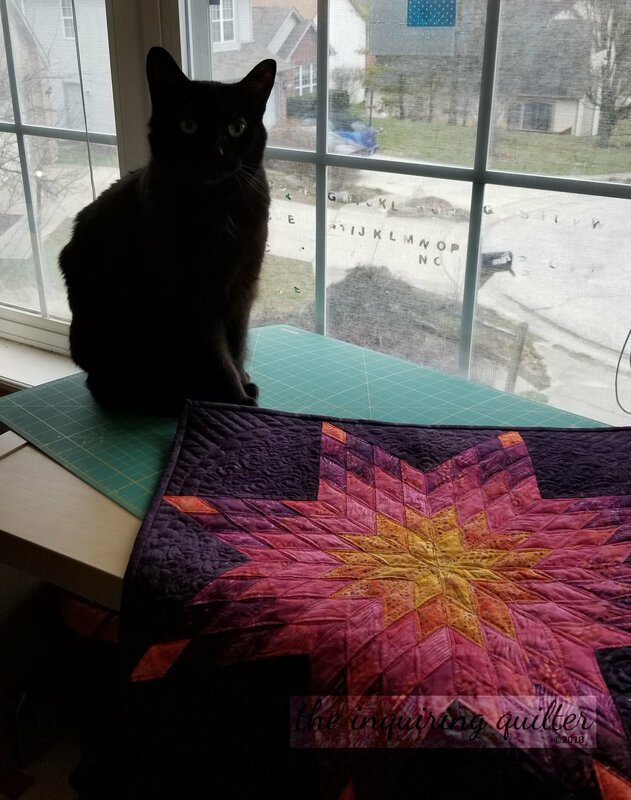 I'm going to call this experiment into Lone Star quilt making a success! Zora loves my new quilt too. tell me..have you ever made a lone star quilt? Newer PostHappy Easter! What a Dog Gone Cute Quilt! Older PostWednesday Wait Loss 60: A Special Easter Link Up!